Univar Inc., a global chemical and ingredient distributor and provider of value-added services, and Nexeo Solutions, Inc., a leading global chemicals and plastics distributor, have entered into a definitive agreement for Univar to acquire Nexeo in a cash and stock transaction valued at approximately USD2.0 billion, including the assumption of Nexeo’s debt and other obligations. “This transformational combination is designed to create the premier global chemical and ingredients distributor, with exciting opportunities for our customers, suppliers, employees and investors. 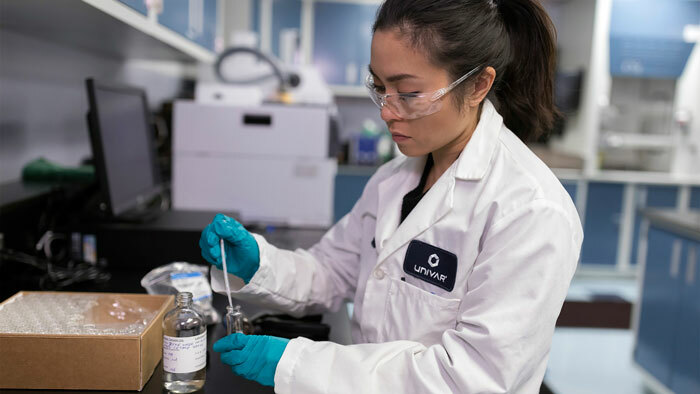 Together, we will drive growth and shareholder value with the largest North American sales force in chemical and ingredients distribution, the broadest product offering, and most efficient supply chain network in the industry,” said Univar’s President and CEO, David Jukes. Jukes said he expects the transaction to be accretive to earnings and cash flow beginning in the first full year post-closing and to generate USD100 million of annual run rate cost savings by the third year. He also announced a reduction in annual capital expenditures by USD15 million immediately. “By combining the best capabilities, talent, and resources from our two companies we will be even better equipped to deliver superior service and expanded value to our customers and supplier partners. We expect to leverage Univar’s leading e-commerce and digital capabilities across Nexeo’s financial systems and centralized ERP platform to accelerate the digital transformation already underway at Univar and reduce costs, while enhancing the ease of doing business. Our shared commitment to safety and innovation and our common organization structures provide a strong foundation for a smooth and successful integration,” Jukes said. The merger agreement provides for each share of Nexeo stock issued and outstanding to be converted into 0.305 shares of Univar common stock and USD3.29 in cash, subject to adjustment at closing, representing a purchase price of USD11.65 per share of Nexeo common stock, based on Univar’s closing price on September 14, 2018 of USD27.40. The cash consideration is subject to a potential reduction of up to USD0.41 per share, based on Univar’s stock trading price prior to the completion of the acquisition. The transaction is expected to deliver USD100 million, or approximately USD0.43 per share (after-tax), in annual run-rate cost savings by the third year following close, and immediately reduce ongoing annual capital expenditures by USD15 million. It is expected to be accretive to Univar’s Adjusted EPS beginning in the first full year following closing. Univar expects pro forma leverage ratio to be below 3.0x by the end of the first full year after closing. The transaction has been unanimously approved by the Boards of Directors of both companies and is anticipated to close in the first half of 2019, subject to the approval of both Univar and Nexeo shareholders, as well as receipt of regulatory approvals and satisfaction of other customary conditions. Nexeo’s key stockholders, TPG and First Pacific have agreed to provide consent for the proposed transaction. Univar intends to finance the cash portion of the transaction and refinance Nexeo’s existing debt with a combination of available cash and bank financing, for which it has received commitments. Consistent with its focus on chemicals and ingredients distribution, Univar has hired an external advisor to evaluate strategic alternatives for Nexeo’s industry-leading Plastics business, which may include a potential divestiture. Nexeo’s Plastics business is a distributor of prime thermoplastic resins and other products supporting OEMs, molders and design firms around the world, and will represent less than 10% of the combined companies’ earnings. The business will continue to be led by Shawn Williams, executive vice president Nexeo Plastics. The review is expected to be completed concurrently with the close of the transaction.